Whether our guests come for an overnight visit, a play date in doggie daycare, a little refresher in training, or some spiffing up in our Salon & Spa, you should know why our clients choose Dogwood Acres Pet Retreat time and time again. Industry experience shows that pets who are actively engaged are happier and healthier—especially while they’re away from home. Dogwood Acres in Davidsonville, MD is an industry leader in providing safe and enriching opportunities for play and exercise. 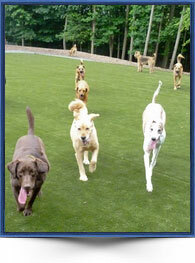 Our focused efforts on providing a safe and fun environment creates a place where pets love to come and play. 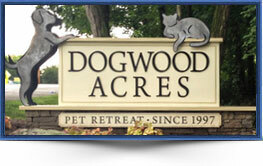 Trust is the #1 reason why our clients say they bring their beloved pets to Dogwood Acres. We work hard to earn that trust and we protect this privilege with everything we do. It starts with an open invitation to visit our retreat anytime and a frankness with which we answer all your questions and concerns. We follow that up with an open and direct line of communication between you and our staff so that you can always know as little or as much as you would like about your pet’s visit while you are away. At the end of each visit, you will receive a “report card” giving honest and thorough feedback about the key aspects of your pet’s visit. Unlike a traditional boarding kennel, our focus is to provide meticulous personal attention, completely individualized care, and enriching and fun activities – all in a state-of-the-art facility – with a knowledgeable and friendly staff. This commitment ensures our guests will experience a superior level of care and comfort every visit. You’ll have peace of mind knowing that your pet is enjoying an impeccably clean, caring and secure home-away-from-home. 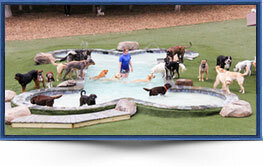 We continuously invest in proper training, equipment and protocols to keep our facility clean and your pet safe. This includes secure fencing, fire detection and suppression, high volume ventilation, pet-friendly cleaning solutions and disinfectants, first aid training, and strict vaccination requirements. Unfortunately from time to time an individual you may entrust to take care of your pet could get sick, have a family emergency, have transportation issues due to serious weather, or simply forget. Dogwood Acres is a full-scale pet care facility with a large professional staff who can continually monitor and care for our guests. Our four-legged friends are not the only ones we care about. Our relationship with you, the owner, is just as important to us. We thrive on exceeding the high standards you set for us and welcome feedback on how we are doing with this endeavor. We are here to help enrich both you and your pet’s life. Our friendly and knowledgeable staff is uniquely trained in the most current pet care procedures to ensure that every guest receives the care, attention and love he or she deserves. We receive more referrals from leading veterinarians from the Annapolis, Baltimore and D.C. area than any other pet care facility in this area in recognition of our superior standard of care and safety record. We receive more new client referrals from our current clients than any other source. We are proud to have earned this vote of confidence when our clients who love their pets refer us to their friends and family. 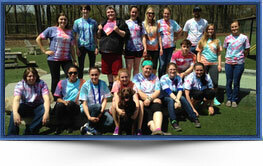 Our passion for pets is more than just puppy love. Since we opened our doors in 1997, we have been leaders in the industry to provide cutting edge services to our clients who treat their pets like family. We love the challenge of catering to each guest and take pride in ensuring that each guest has the best experience possible. In order to do just that, we go to great lengths to ensure all our staff receives the best education and certification in the industry and we never forget that it’s our enduring love for animals that is at the heart of everything we do.